Need an easy, classy, and quick gift idea? Combine a simple charm and chain with a birthstone, pearl, or Swarovski crystal. Perfect for girls young and seasoned, it’s something she can wear every day. What’s her favorite thing? What month was she born? One short message and $20 later, and you’re done. 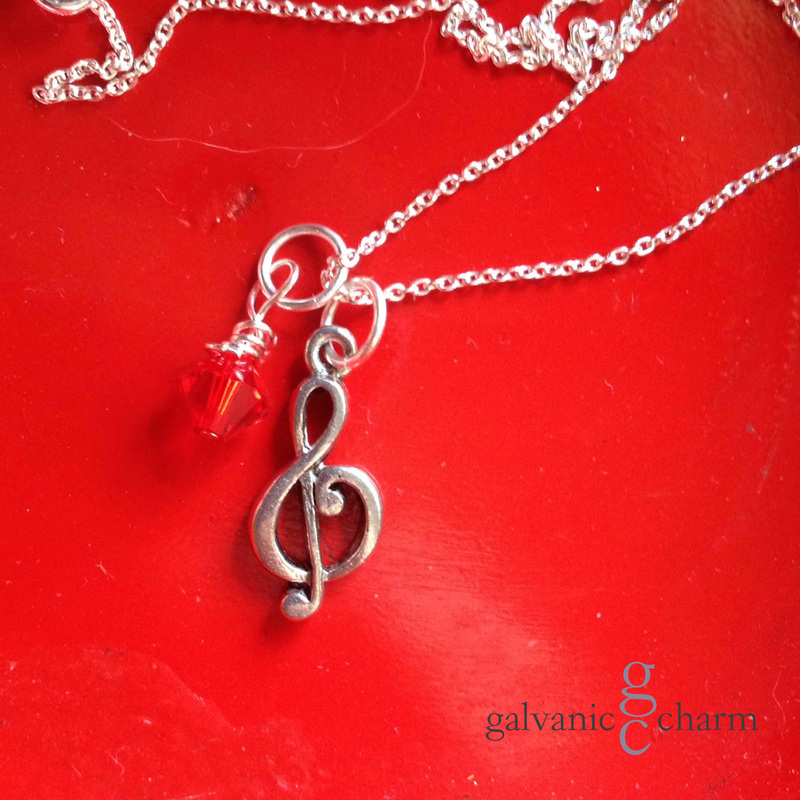 CLEF – Birthstone necklace with pewter treble clef charm with wire wrapped Swarovski crystal drop, pictured in ruby (July). 18″ silver filled light cable chain. $20 as shown. Available directly or on Etsy. 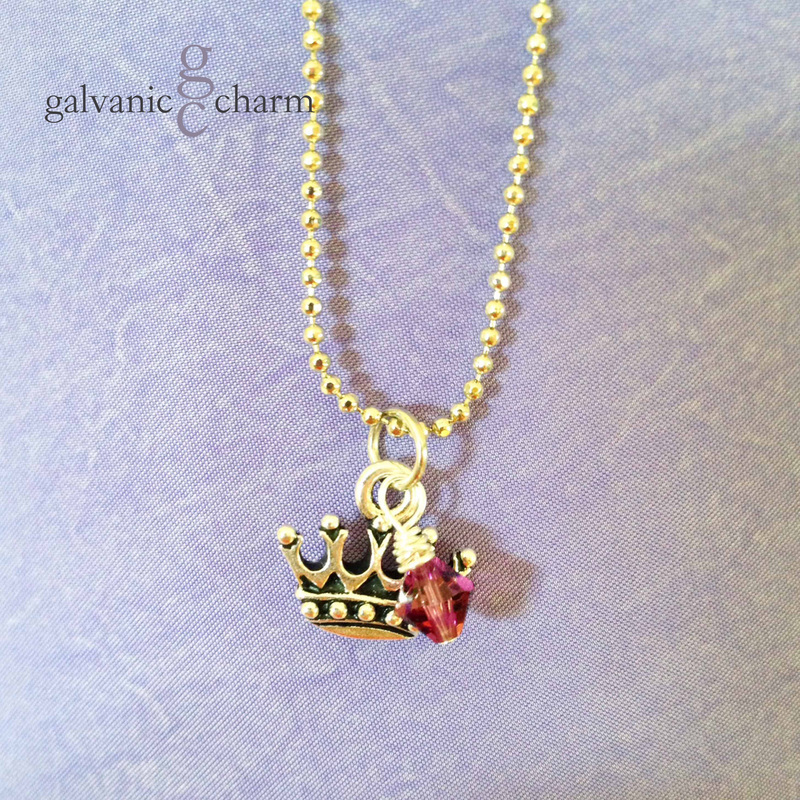 PRINCESS – Birthstone necklace with pewter crown charm wire wrapped Swarovski crystal drop, pictured with pink tourmaline (October). 16″ rhodium plated light ball chain with circle clasp. $20 as shown. Available directly or on Etsy. 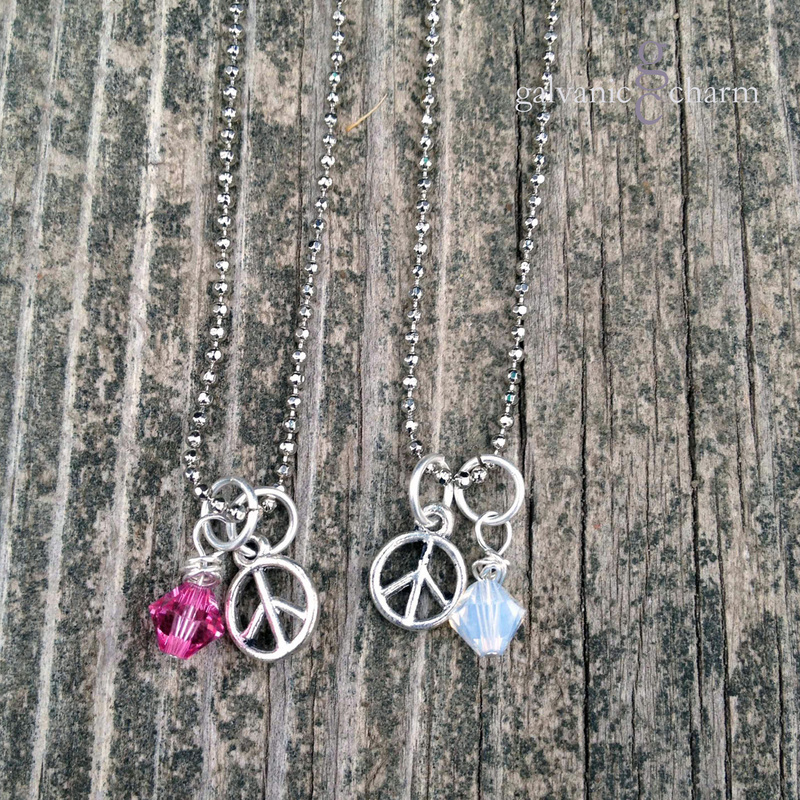 PEACE GIRL – Birthstone necklace with pewter peace sign and wire wrapped Swarovski crystal droplet, pictured in pink tourmaline and opal (October). Rhodium plated fine ball chain with lobster clasp. $20 each as shown. Available directly or on Etsy. 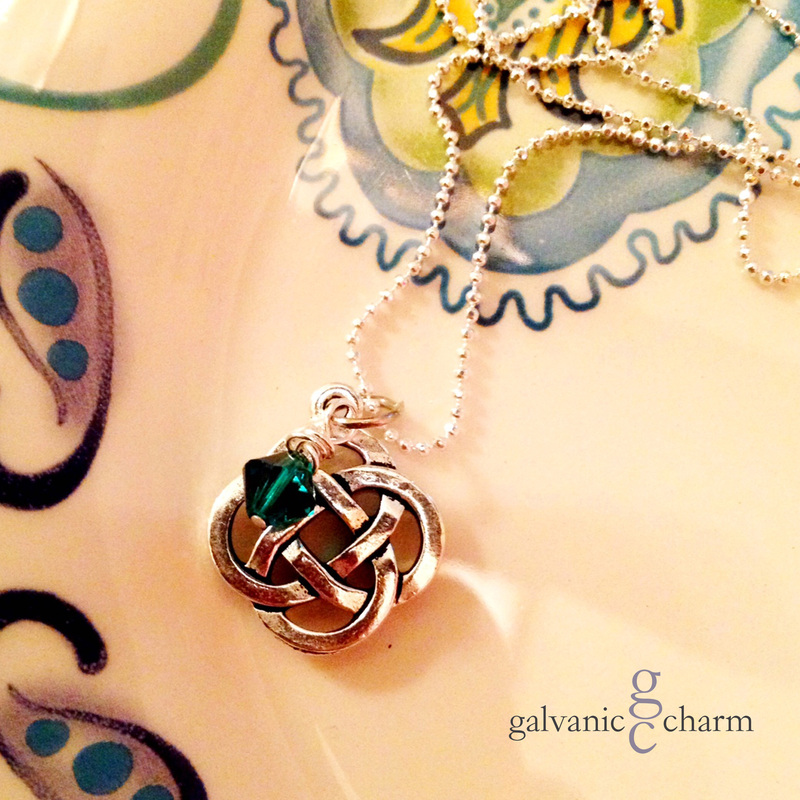 CELTIC – Birthstone necklace with pewter Celtic knot charm and wire wrapped Swarovski crystal drop, pictured with emerald (May). 18″ rhodium plated light ball chain with circle clasp. $20 as shown. Available directly or on Etsy. 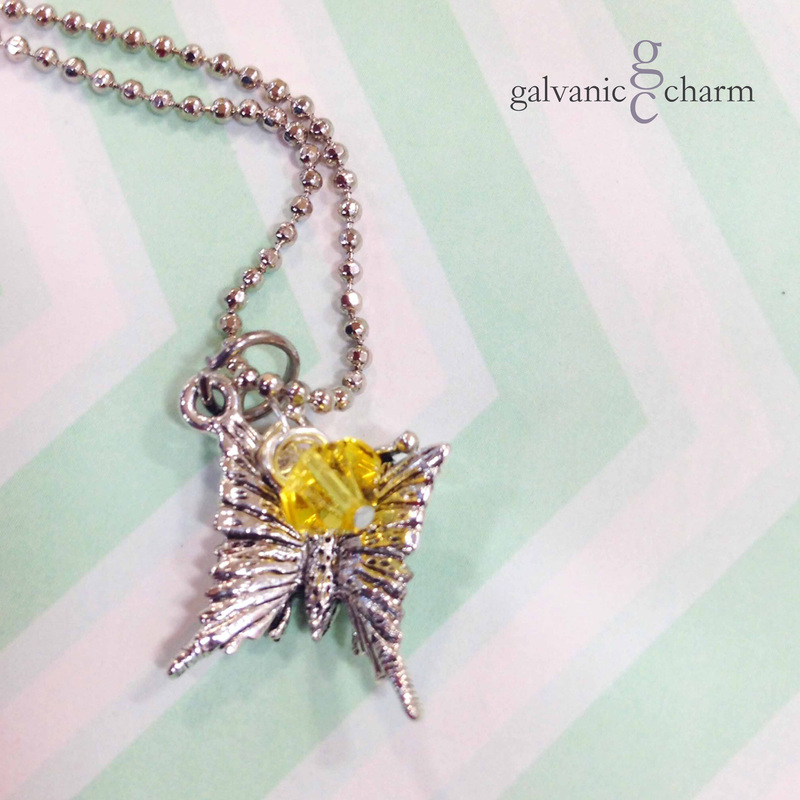 LITTLE WINGS – Birthstone necklace with pewter butterfly charm and wire wrapped Swarovski crystal drop, pictured with citrine (November). 14″ rhodium plated light ball chain with lobster clasp. $20 as shown. Available directly or on Etsy. 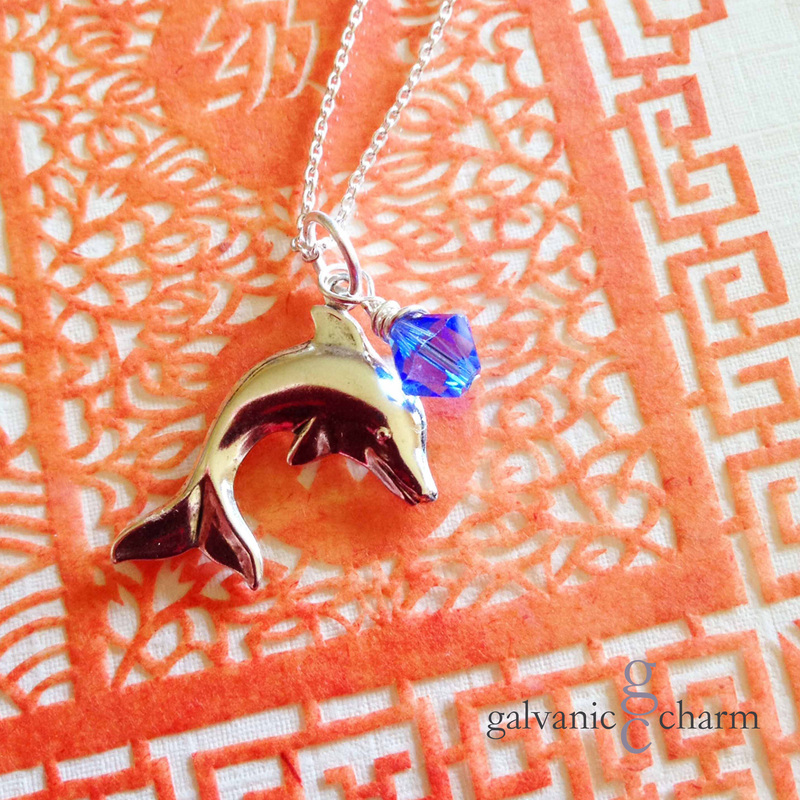 DOLPHIN – Birthstone necklace with pewter dolphin charm and wire wrapped Swarovski crystal drop, pictured with sapphire (September). 18″ silver filled light cable chain with circle clasp. $20 as shown. Available directly or on Etsy.